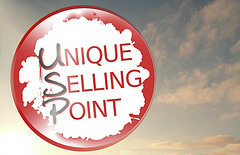 Open Door Auctions is in the business of proving to the world why our auction process is great for sellers and buyers. Today we want to focus on the selling side of the equation. Let’s say you have a property for sale. More than a century of history and indoctrination suggests you should run down to your local traditional real estate agent and ask him to list your house on the Multiple Listing Service (MLS). While this might not be the worst idea in the world, we would like to suggest that you can sell your house much more quickly and at a similar price through our unique approach. But exactly why should you choose an auction? Here are a few reasons. One of the drawbacks to the old-fashioned way of selling real estate is that potential buyers come through at a slow trickle. That’s just the way the thing works. By holding your auction at a specific time and place, and using the MLS in a completely different way, we drum up interest for your house quickly. While your old real estate agent might get you a showing or two every week, if you’re lucky, an Open Door Auctions sale will likely have dozens, perhaps hundreds, of interested buyers walking through during the open house immediately prior to the sale. It’s not unusual for a seller to have a handful or more of serious offers that very day. And with Black Friday in our rear view mirror, we all know there’s something about a crowd that makes people crazy to buy, buy, buy! Some sellers come to us with a very real fear that they’ll have to sell their property to the highest bidder, no matter how low it is. Nothing could be further from the truth. The final power to accept or reject ANY offer resides with you. Some companies talk up the value of having a minimum bid offer process in place, but to us, that seems like an unnecessary step. Instead, we decided to allow the seller complete control over whether or not to accept any offer and left it at that. Our main goal with a real estate auction is to establish the true market value of your property. How can you do that if you place a lower limit on the price? As we’ve said a few times before, why not simply allow the seller to reject any offer he finds unacceptable? Though sellers should also keep in mind that the market speaks only truth. If all offers come in well below your idea of the home’s value, there’s a good chance you’ve priced it too high. The facts are thus. In less than two weeks from this very day, you could be sitting down with a handful of real offers to buy your house. Contact us through our website. Email’s fine if you prefer that, or you can call one of our dedicated property specialists on the phone. Once you give us the word, our proven marketing process swings into motion, playing the MLS like the stock market to elicit the most interest for your home in a short length of time. If you really must know the secret, and it’s not that much of a secret really, the power of the MLS lies in the ability to re-list a house at a new price every day or so. This has the effect of bumping it back to the top of the search results where a whole new group of interested buyers can find it. This is how we expose your property to the broadest spectrum of house buyers over a short period of time. This is how the real estate game should have been played a long time ago.